You are here: Home » Social Security Disability » The Claims Process » How does the Social Security Administration apply Social Security Disability Laws to determine if I am disabled? Learn how Social Security Disability laws apply to your claim and how the disability evaluation process will be used to decide if you are disabled. To determine whether you are eligible for benefits, your claim will undergo a series of five reviews in a specific order set by Social Security Laws. First, before your claim is evaluated medically, your local Social Security office will review your Social Security Earnings Record to determine whether you have enough work credits to be insured for Social Security Disability. For more information about how to become insured, please view our article How many Social Security-covered work credits do I need to get Social Security Disability Insurance? If you are insured, Social Security will review any work you have done after the disability date you are claiming. Part of Social Security’s definition of disability is “the inability to engage in any substantial gainful activity,” so the work you have performed after your claimed date of disability will be reviewed to determine if it is substantial. If you have not worked since the date you are claiming disability or your work is not “substantial” or it was an unsuccessful work attempt, your claim will be sent to a state agency, called Disability Determination Services. This agency, DDS for short, has been contracted by Social Security to decide whether you are disabled according to Social Security Disability rules. Please visit our article What Is Disability According to Social Security Law? for more information about Social Security’s definition of disability and a discussion of substantial gainful work and How Can I Tell If I Will Meet Social Security Disability Requirements? for a discussion of unsuccessful work attempts. To apply Social Security’s definition of disability to your claim, DDS needs documentation of your physical or mental impairments. This documentation must come from medical professionals defined by Social Security as acceptable medical sources. Social Security regulations say that you are responsible for providing medical evidence to support your claim; however, DDS may help you by requesting medical records from your doctors, hospitals, clinics, and pharmacies. They will also request a statement from your physicians. Because you are ultimately responsible for submitting the necessary information and because your treating physicians’ statements are considered to be very important in the claim evaluation process, you should let all your doctors know that a report will be requested and what it will ask for. It’s also a good idea to contact the Disability Determining Services periodically to see what information, if any, they may still be waiting for. This will allow you to follow up with the medical providers to get the requested information released. Here’s where having a lawyer who is experienced in Social Security is a real asset! He or she can contact your doctor to clarify Social Security’s questions. This in turn will help the doctor prepare a report that fully addresses the points to be evaluated by DDS. Having an attorney assume these tasks will also relieve you of some of the burden of pursuing your claim. When you are not feeling well, this can be very desirable. Sometimes statements from care providers, employers, social workers, and other health care providers such as chiropractors and naturopaths can add important information about your limitations. Even statements from relatives, neighbors, and friends may be helpful. You or your attorney will need to gather these statements and submit them to DDS because typically DDS will not request them. Our article Would It Help My Disability Claim to Get a Statement from My Employer about My Problems at Work? talks more about employer statements. If DDS does not receive enough information to determine the extent of your limitations, they will ask you to attend a medical or psychological evaluation. This is called a Consultative Examination. The examination will be at no cost to you. If your treating physician is qualified and willing, he may perform the examination; otherwise, you will see a doctor you haven’t seen before. The examination is for evaluation only, not for treatment. If you are asked to go to a Consultative Exam, it is extremely important that you attend and cooperate fully. If you do not, it is likely your claim will be denied. Once the Disability Determining Services has received all the medical information that is needed or that is available, they will take your claim through the remaining four steps to decide whether you are disabled. Step Two: Is Your Medical or Psychological Condition Severe? The first step is to evaluate whether your condition is severe. By this, Social Security means that you are significantly limited in your ability to do basic work activities. If they determine that your condition is not severe, your claim will be denied. 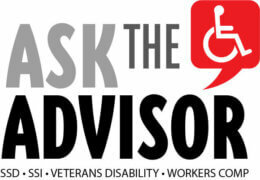 Step Three: Does Your Condition Meet the Social Security Disability Listings? If DDS finds that your condition is severe, they will move on to the third step, which is to evaluate whether your condition is so severe that it is included in Social Security’s List of Impairments. It’s important to note that to be placed on the List of Impairments an illness or injury must be accompanied by certain signs or symptoms. If your condition meets or is comparable to a listing, DDS will determine that you are disabled. See our article Is there a Social Security Disability list of impairments, that is, a list of illnesses and injuries, that Social Security considers disabling? Step Four: Are You Disabled from Work You Have Done in the Past? If your condition does not meet a listing, the evaluation will move to the fourth step, which is to evaluate whether you can perform work that you have done in the past. In this step, DDS reviews your limitations and capacities and compares them to the physical and mental requirements of your former work. If you cannot perform work you have done in the past, the evaluation will move to Step 5. If you cannot do work you have done in the past then your claim will be evaluated to determine whether you are able to perform work that you have not done before. In this step, DDS looks at your limitations and capacities, your education and training, and your work history to see if you have skills and knowledge that can be transferred to other work you are physically and mentally able to perform. How this step is applied depends in part on your age. If you are age fifty or older more consideration is given to your age and education in answering the question of whether you have the ability to begin a new occupation. How much over age fifty you are and how much education you have, especially advanced education, play into that analysis and even more so when you reach age fifty-five. In this step, regardless of age, if it is determined that you cannot perform work that is new to you, you will be found disabled and your claim will be approved.